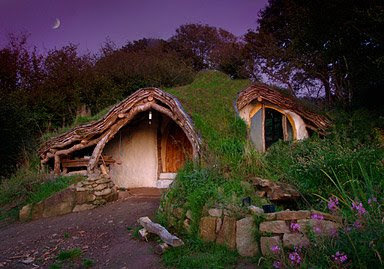 Inder Loves Folk Art: Hobbit house. Speaking of homesteads, I'm so in love with this handmade sod house in Wales. It looks straight out of Tolkein, right? Isn't this exactly the house you would have chosen for yourself at age 10? A family made it from scratch and they're living in it now! Click on the picture for more details and pictures of the inside! The rafters are trees!! Argh! !